The pre-Autumn Statement rumour mill is suggesting a radical reform of pension contribution tax relief. Could tax relief for pension contributions be based on your age rather than the rate of income tax you pay? At present a gross pension contribution of £100 will normally mean that you receive £40 tax relief, so your net outlay is £60. Under the proposed new rules, you would pay £60 into your pension and the government would provide a top up of 55% (100% – 45%), leaving you with a total in your pension pot of £93 (£60 + £60 x 55%). Why reform pension contribution tax relief? The logic behind the proposal is that it would encourage contributions to be made to pensions at a younger age, meaning that the pension fund has more time to grow before it is drawn upon. 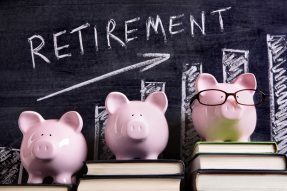 The same goal of stimulating retirement saving at a young age is behind the upper age limit of 39 for next year’s Lifetime ISA. The Chancellor’s parliamentary private secretary has said that a reform of pensions tax relief would fit in with the Prime Minister’s plans. It would probably also appeal to the Treasury, because it’s estimated that higher rate taxpayers account for half of all pension contributions, but nearly three quarters of all tax relief. A higher rate taxpayer aged over 33 would be worse off under the suggested age-related system as their bonus would be no more than 66% against the equivalent 66.67% provided by higher rate relief. That age threshold means most higher rate taxpayers would lose out. There is no certainty that any change will be announced in the Autumn Statement on 23 November, nor even if it is, that it will take immediate effect. However, if you are contemplating a pension contribution in the near future, the possibility is worth bearing in mind. For help and advice on pension contribution tax relief and pensions in general please get in touch with the Hartsfield team.